A jewel of world barrel making. It is its search for perfection that led Radoux to create the Blend barrel. It has long been the solution to the toughest oenological demands thanks to a severe selection and production process. 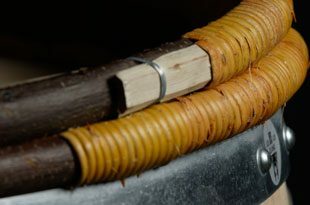 Only perfect staves coming from the finest French oak with extremely tight grain (less than 1.5mm) are used to make this barrel. At each stage of the process, the barrels are closely examined and immediately rejected if any fault is detected in order to achieve impeccable quality. Wood which meets these demanding criteria is rare and a specific purchasing policy is applied in the finest forests: the Blend barrel is therefore produced in strictly limited quantities depending on the availability of the raw material. This is what makes it the most sought after barrel, a worldwide choice among the most prestigious wineries. The Blend barrel has a high aromatic potential, with a very slow extraction, and represents a real quality investment for the Cellar Master. It is recommended for wines which are to be aged over long periods and can reveal its potential over several vinification cycles. The extreme tightness of its grain gives the wine maximum aromatic complexity, progressively released during aging, for a delicate contribution of structure, with fine and supple tannins. It is the perfect symbol of harmony between the wood and the wine, and is and will remain the most beautiful vessel to bring the best wines the world over to full maturity. Tonnellerie Radoux Inc. uses the tightest-grain oak selected from different forests throughout France, Eastern Europe & United States. Each barrel is produced to meet a wine’s and winemaker’s distinctive style, and personalized service is reinforced by strict quality control to ensure consistency. This is a fairly new option for Radoux’s French Oak customers and is the quickest oak extraction of the three French Oak options. This is a perfect fit for those customers barrel aging wines for 12 months or less and works particularly well with shorter aged wines like Pinot Noir and Chardonnay. This selection is 50% Tight Grain and 50% Medium Grain. Available in White Wine Selection (WWS) or Red Wine Selection (RWS); Classic or Evolution toast styles. 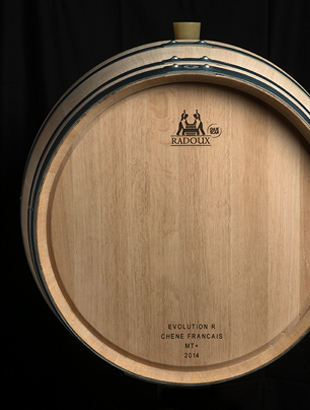 This is Radoux’s most popular French Oak Barrel. Due to the Tight Grain, the oak extraction is much slower than the Medium Grain Barrels and is recommended for any wine aging in barrels for 12-24 months. 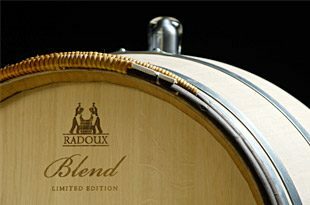 Only the Highest Quality, Tightest-Grain Oak is selected and produced into Radoux’s Extra Tight, “Reserve BLEND” barrels. 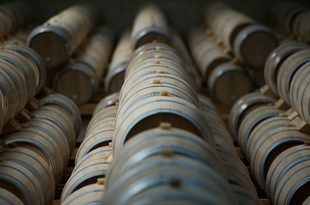 Due to the grain tightness, oak extraction is very slow and it is recommended for wine (particularly red Bordeaux and other longer aged varietals) aging in barrels for 18-24 months. Small French Oak Barrels are available in 28L, 55L & 110L sizes and are perfect for home winemakers. Available in Medium or Medium Plus toast levels. The Missouri Oak Barrels are a great all-purpose barrel, for white wines the characteristics are coconut in the nose with a sweet vanilla cream in the palate. For red wines, the fruit is highlighted in the nose and a “juicy” fruit quality in the palate. The Appalachian Oak Barrels have great spices in the nose and a lemon cream in the palate. Less sweet oak character which retains the perception of acidity. This is a terrific barrel for Zinfandel and Syrah, but also works well with Chardonnay. Hybrid Barrels are a mix of oak origin and available in two standard formats: American Oak Body with French Oak Heads or 50% American Oak/50% French Oak Body with French Oak Heads. Tight grain oak from the Caucuses region of Eastern Europe is selected and produced into Radoux’s Eastern European Oak Barrels. 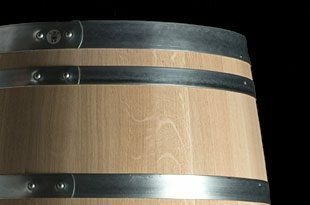 These barrels are available in all toast levels and are great for all types of wine and as an alternative for French Oak. Puncheons are available in 300L, 400L, 500L & 600L sizes and are made to order in France.